le scarpine di sveva/sveva's baby shoes: [D.I.Y Project] Plaring - Crea il tuo Anello/Plarings - Create A Ring Yourself. 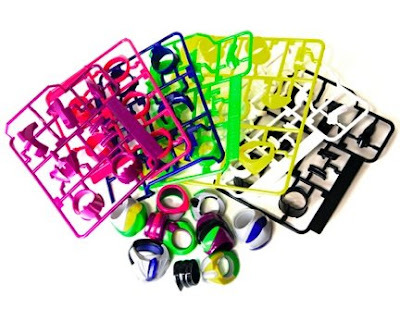 DIY plastic ring kit. 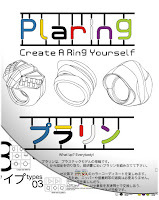 [D.I.Y Project] Plaring - Crea il tuo Anello/Plarings - Create A Ring Yourself. 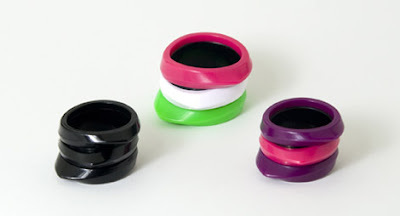 DIY plastic ring kit. "Originally, Clunky Design focused on costume production, but how did you come to make these so called, Plarings? Hironori: One day, I came across a plastic ring at a toy shop. It was a kind of luxury-looking women’s ring and I wondered if it might be possible to make one like a plastic model. 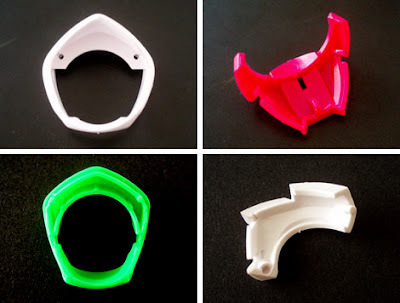 Thanks to this, the finished ring can be disassembled so easily! Yet the same cannot be said for its assembly. Why not? As a designer, what is your message about Plaring? Kenta: We just want people to enjoy making and wearing the rings. It all started from the hope to transform our hobby into our job. Plaring is all about having fun, and not only for the creators. Hironori: I think if people use it as a tool for communication, that just about conveys what we initially wanted to do. What we made is a leading track for that and we’ll leave the final shape of Plaring to everyone." Ciao gironzolavo nel mare infinito del web..ed eccomi qui nel tuo accogliente bloguzzo!!! Very pretty designs. I love each and every one of them! Ciao Roberta! Eccomi qui. 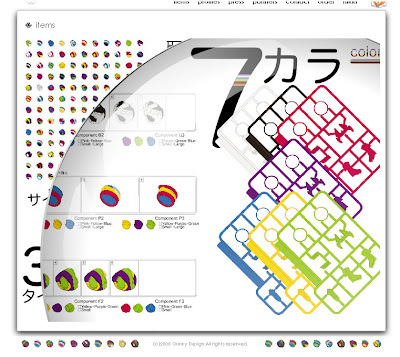 Ho seguito l'impronta che mi hai lasciato sul post a proposito del significato di "design". Ora ti diro' una cosa. Le considerazioni finali del tuo post sui DIY Project mi hanno fatto vedere un aspetto della questione a cui veramente non avevo mai pensato. E ti cito :" La produzione "massificata" sta cancellando ogni tipo di esperienza sul prodotto al di là del suo consumo. Grazie per la pazienza e scusami per a "papiricità" del commento.